Cristiano Ronaldo knows that every game he plays in Champions League is for him a date with history. While the Portuguese striker is already placed as the historic leader of goals of the continental showpiece, his aim is to keep scoring goals to help Real Madrid to conquer a new title and incidentally fatten his already extraordinary scoring statistics in Champions League records lists. Trailing the 2-0 lead from the first leg, Real Madrid needed someone to step up in the second game against Wolfsburg at the Bernabeu. The 31 year old took the responsibility as he single handedly rescued his side to the safe end of semifinals stage. The old record goal scorer Raul left behind with 77 goals last season by Cristiano and Leo Messi, both the Argentinian and the Portuguese were very evenly matched in the ranking. But it was in the beginning of this year when the Real Madrid striker took the opportunity to start to distance himself from his great rival. Thus, carrying 13 points before starting the clash with Wolfsburg placed him at the head of the goal scoring table with 90 in total; while the FC Barcelona no. 10 remained with his 83 goals after leaving goalless on Tuesday against Atletico Madrid. In fetching Real Madrid to the semifinal stage, Cristiano Ronaldo has achieved some unique personal and collective Champions League records as well. The Portuguese striker is now the only player to have hit two hat-tricks in a single season of the top European flight. Similarly his goal chart who currently stands with 16 goals makes him the only player to score 16 or more goals in to Champions League seasons. 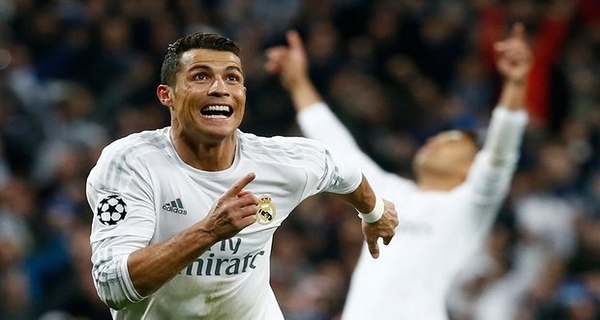 The first time of course being in the season 2013-14 when he scored a world record 17 goals. On the other hand Real Madrid has now become the only side to reach the semifinal stage of Champions League for the sixth consecutive season.